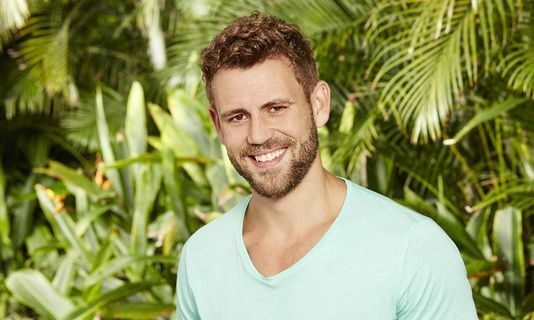 In celebrity news, the newest Bachelor, Nick Viall, had an eventful first night at the mansion. In fact, one of the women who stepped out of the limo happened to be someone he had hooked up with at Bachelor Nation’s prized celebrity couple Jade and Tanner’s celebrity wedding. According to UsMagazine.com, when Liz, 29, a doula, stepped out of the limo, Viall had a bit of a confused look on his face, and when she walked away to head into the mansion, he seemed thoughtful, like he was trying to figure something out. Chris Harrison took the opportunity to ask Viall about his strange look, and Viall admitted that he was 99 percent sure he’d “met” Liz at Bachelor in Paradise alums’ Jade and Tanner’s wedding. During that meeting, Liz had refused to give Nick her number, and hadn’t spoken to him again. Drama! This celebrity news has drama written all over it. What are some ways to handle running into a past fling? 1. Be direct: You might be in shock, but the best approach is to simply be direct about things. If this person is no longer an interest of yours, tell them. There’s no point in skirting around the issue, as it will just prolong the inevitable. 2. Keep it lighthearted: There’s no reason to get into a drama filled or heated conversation when your fling with this person was short-lived. Obviously you’ve both moved on since you had your fun, so making light of things and indulging in just a little small talk before moving on is all that it takes. 3. Laugh about it: Chances are that the two of you are over any drama that existed between you by now. Sometimes laughter really is the best medicine, so joke around with your ex-fling a little bit. Things will no doubt flow a lot easier after that. What are some other ways to handle running into a former fling? Share your thoughts below.